What makes swimming a complete workout? Have you ever felt the cardio workout boring? Do you find it difficult to spend time on the treadmill? Are aerobics sessions hurting your joints? If yes, then here is the most interesting form of workout that you would enjoy while exercising your body as well as heart, and that is SWIMMING! So lets see what makes swimming a complete workout? Swimming is fun activity that can also be your complete cardio workout when done with proper strokes. 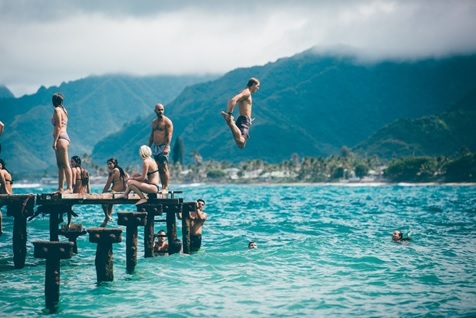 If swimming to you means floating in the pool on your back or enjoying a drink at the edge of the pool, then it would never be a complete workout for you. However, if you are the one who always wants to sharpen the swimming skills by different strokes and swimming multiple laps then you are on the right workout regime. 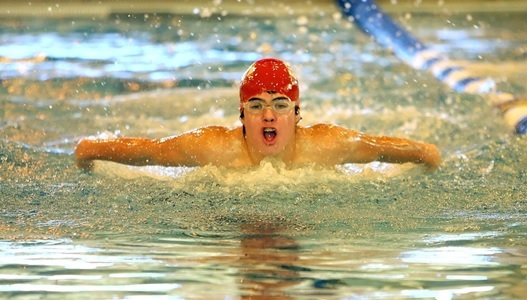 Swimming with strokes like freestyle and front crawl can be great calorie burners. All you need to do is to push yourself extra every time you are swimming, as this will help you to exercise your limbs and heart properly. Apart from making your entire body and organs work, swimming also offers various other health benefits that many forms of exercise may lack. Some of the unique health benefits that can be availed by incorporating swimming as an exercise are given here. The exercise that balances your body and mind is no less than meditation, and swimming does this well! When you are in water, your mind is calm with no other thoughts coming your way. It is just you and water in your sight. With each swimming stroke, you would be finding yourself balanced on the water and making your way with the help of rhythmic moments. This exercise calls for unison of body and mind, which you would get only with meditation. Hence, while indulging in rigorous cardio workout, you would be actually meditating your mind as well. Again the calming effect of water adds an extra point to the workout. When you are struggling with excess weight, you need to take care of other factors like joint and heart health to enjoy side-effect free workout. Apparently, swimming is the joint friendly workout that won’t exert any pressure on your joints even when you are overweight. It is low impact cardio workout good for your heart as well. Swimming multiple laps would be as good as working out on multiple machines to make all your muscles undergo effective workout. Swimming corrects your posture and works the muscles in triceps, biceps, abdomen, quadriceps, hamstrings, and even your calf. You would be using your shoulder muscles in each stroke, which are hardly used in other activities. Use different styles like freestyle, butterfly stroke, breaststroke, and so on to work up different muscles every time. Sweat it out to burn more calories! This is what you would usually hear from your trainer at gym, however this fact would differ when you are in swimming pool. One can burn more than 500 calories by swimming continuously for one hour. This too without sweating! It is one of the most interesting form of exercises where you enjoy your work out more than many other recreational activities. When you are swimming, you would actually hold your breath for longer periods and whenever you are out, your lungs would expand to take up more oxygen for swimming further. This would turn out to be wonderful exercise for lungs, which would also increase the capacity of lungs to breathe in more oxygen. By making swimming a regular exercise, you would expand your lungs to make them work to their optimum capacity. Healthy lungs also mean healthy body and heart. Inhaling more oxygen in every breath would rejuvenate your cells by purifying the blood. Swimming is the low impact exercise, which is good for all age groups. However, swimming should be clubbed with other exercises to make calorie burning a constant process. Make use of this low impact exercise to tone your body, work up your muscles, and improve your cardiovascular health. Club it with weight training to ensure faster weight loss.